If you are convicted of a DUI in Arizona, (A.R.S. 28-1381), you may face penalties in criminal court and with the Arizona Motor Vehicle Division. This means that not only could you receive fines and jail time, but you might also face a driver’s license suspension. After being stopped by a police office on suspicion of a DUI, if you fail or refuse to take a blood or breath test, the police officer will read you a form called Admin Per Se and the Arizona Motor Vehicle Division will suspend your license for one year. This suspension can stay in place even if you are not charged or if your charges are dismissed. In addition to jail time, fines, and license suspension, if you are convicted of a DUI you will be required to have an ignition interlock device hooked up to any vehicle you operate, whether you own it or not. This means that before you can start your vehicle, you will have to pass a BAC/breathalyzer test. The interlock is required for at least one year and you will have to pay a monthly fee for the device. If you do not install the interlock device and keep it for the required period, the Motor Vehicle Division will not give you back a regular license. A DUI offense can be charged as a Class 4 Felony resulting in a mandatory prison sentence of at least four months (A.R.S. 28-1383(A)(1), if: the driver has an ignition interlock requirement, if the driver has been convicted of two previous DUIs in the last 84 months, or if the driver’s license is suspended (rarely charged in Tucson). If a driver is charged with a DUI while there is a person under 15 in the car, the offense is a Class 6 Felony. The DUI Defense Team will work to avoid or mitigate these consequences. You are never alone. 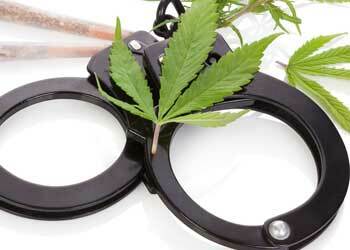 Although marijuana is less addictive than dangerous and narcotic drugs, Arizona law is tough on marijuana possession. Being caught with 2 pounds of marijuana (A.R.S. 13-3405) or less, is a Class 6 Felony and can result in a prison sentence up to 2 years. Touching with intent to injure or provoke is considered a Class 3 Misdemeanor. If charged, you could be facing 30 days in jail, a $500.00 fine, and up to 12 months probation. Assaults concerning threat of injury are considered Class 2 Misdemeanors. The punishment if found guilty is maximum sentence of 4 months in jail, a $750.00 fine, and probation of up to 2 years. Assaults with minor injuries can be a Class 1 or Class 2 Misdemeanor, depending on whether they were committed intentionally or recklessly.